As homeowners in North Carolina’s coastal region begin making repairs for damages related to Hurricane Florence, they should be aware of insurance incentives to increase wind resistance by selecting construction options. “Installing wind-resistant features can protect buildings and potentially save homeowners money. Options to receive insurance rate credits for these protections are available through private insurance companies and state mandated wind pools,” notes Spencer Rogers, North Carolina Sea Grant’s coastal construction specialist. “The wind pools are presently offering free policy endorsements that may reduce costs when repairing or replacing roof coverings on certain buildings,” Rogers explains in a memo now available on the Sea Grant website. 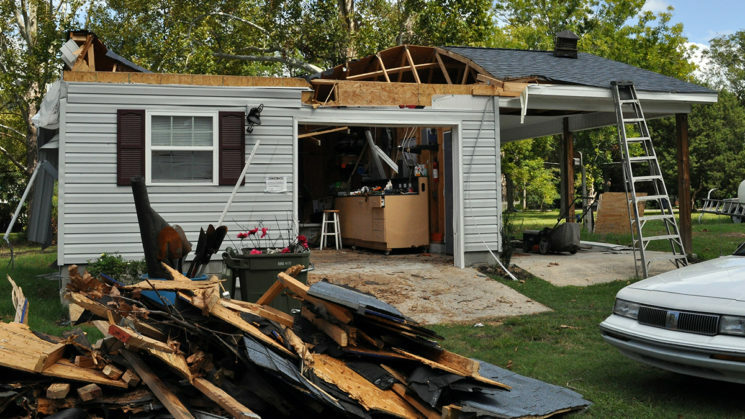 “Speak with your insurance agent and adjustor for details regarding your property,” he adds. Since 2011, insurance rate credits have been available for wind-resistance features in coastal buildings, as the North Carolina General Assembly directed through the N.C. Department of Insurance. The goal was to develop discounts to encourage better wind-resistant buildings. These discounts are available in 18 coastal counties, and private insurance companies and the state-mandated wind pools are required to offer them. Rogers’ memo provides background, and directs property owners to check other online sources for details, such as the state’s wind pools and the FORTIFIED home program of the Insurance Institute for Business and Home Safety. This new release was originally published on Sept. 21, 2018.